What’s Your “How We Met” Story? 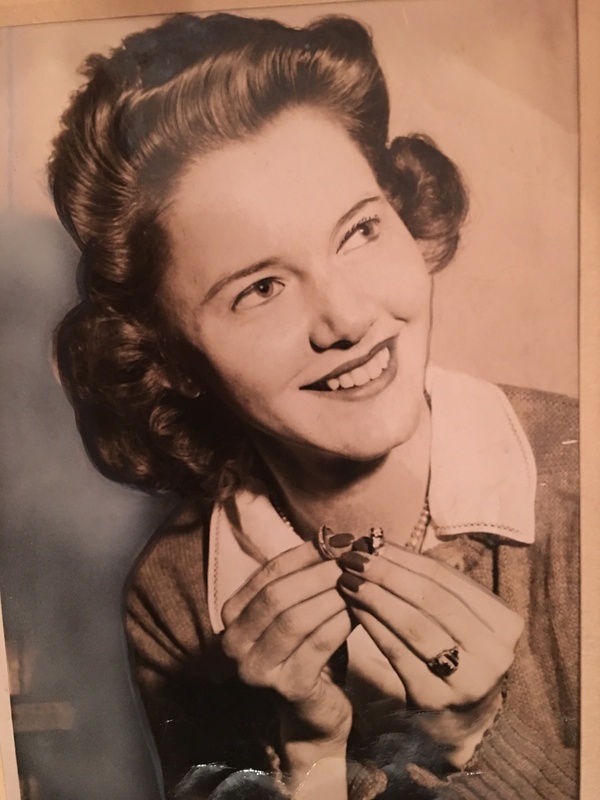 My beloved mom turned 93 this week. It was hard losing my dad 10 years ago, but we have been so blessed to have Mom live less than a mile from us since then. This September she’ll be even closer when she moves to western North Carolina with us following our retirement. I’ve always been intrigued by the story of how my parents met. Decades before internet dating sites, how could a farmer’s son from Illinois meet a city girl from St. Paul? That it was. 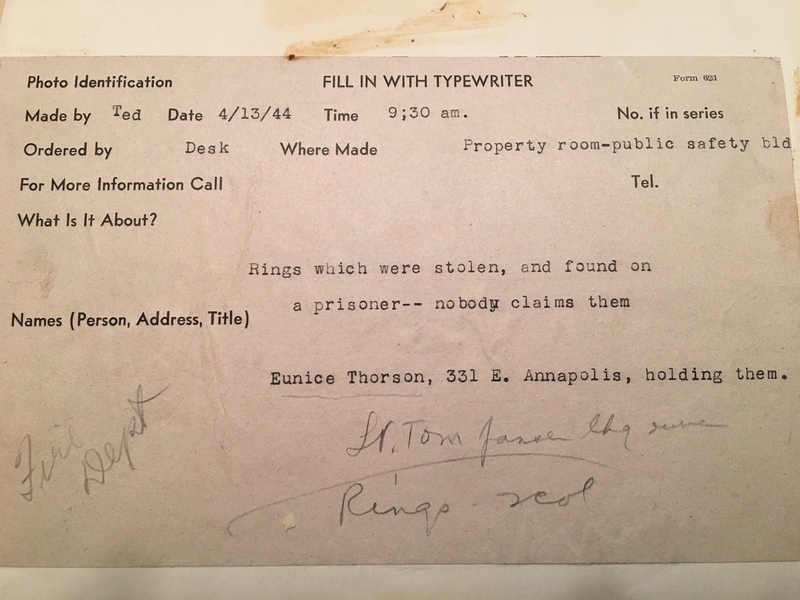 A set of stolen rings were turned in to the Civil Service building, and a photographer from the St. Paul Dispatch came by to snap a photo. Mom was recruited to pose holding the rings for the paper. Copies of that particular edition somehow found their way into my dad’s barracks overseas where he noticed her Norwegian last name and the striking photo (as did other serviceman), and wrote Mom a wartime letter (as did quite a few others!) Mom wasn’t inclined to respond to any of them, but my grandmother urged her “to support the war effort.” Mom began a correspondence with the earnest young Christian serviceman from Illinois. Five years later they were married. Don’t you just love a good this-is-how-we-met story? I wouldn’t be here if God had not brought my parents together. More importantly, I would not be who I am today if God had not brought me to himself. These are my favorite how-we-met stories: the ways that God’s people enter a relationship with the One who will change their lives for all eternity. Following Billy Graham’s death several weeks ago, countless “Billy” stories appeared in print and online relating his role in introducing them to the Savior he loved and served. Here’s the one that intrigued me: an op-ed piece by former president George W. Bush that appeared in the Wall Street Journal. 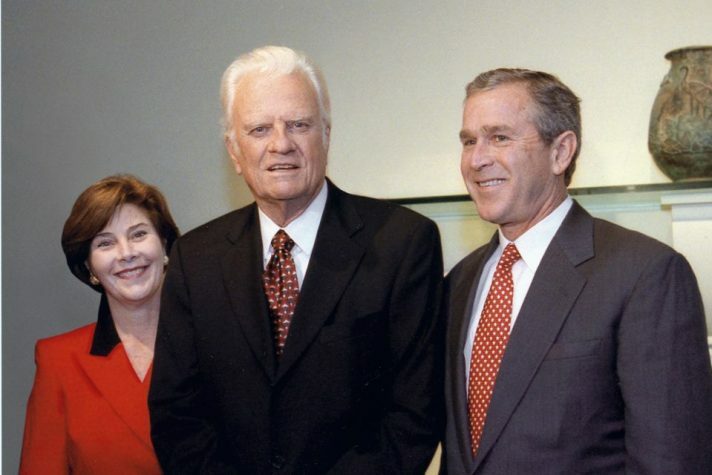 “God’s work within me began in earnest with Billy’s outreach,” Bush wrote. “His care and his teachings were the real beginning of my faith walk — and the start of the end of my drinking. I couldn’t have given up alcohol on my own. But in 1986, at 40, I finally found the strength to quit. That strength came from love I had felt from my earliest days and from faith I didn’t fully discover until my later years. Graham’s gift to Bush? A copy of The Living Bible personally inscribed with a reference to Philippians 1:6. God’s gift to Bush? The gift of eternal life. Don’t you just love a great how-we-met story? Maggie, I LOVE how your folks met! Sounds like a Hallmark movie – maybe you can make it your second book! Don’t you just love STORYTELLING? One day we will all gather ‘round and hear from some of the best… at His feet. Thank you for sharing. Cindy, so many great wartime stories, and so many go untold. I know this will embarrass Mom but I gave her a heads up I was going to share it. The only reason that edition of the St. Paul Dispatch ever made it to my dad’s barracks on New Caledonia was because one of the other servicemen was from St. Paul. The fact that my dad saw that paper and had the courage to write certainly became my reason for being! What a beauty and what a wonderful story! We love your mom and I am certain we would have loved your dad. Thanks Mary. It will be hard for Mom – and us – to leave our church family behind when we move. She’s been so happy here, and we are grateful she’s been so well loved. I just have to tell my story how Finnish ethnic last names also helped Clifford and me to meet. I had started to go to the Coed Club at the St. Paul YMCA and was noticed by Clifford because of my Finnish last name. He called and chatted in May 1949, we started dating and on August 29, 1949 we were engaged and married in June 1950. I am sure God had His hand in that as we had a very happy marriage, with 3 children Thanks, Maggie for the story. I have been a friend of your Mom since Kindergarten, but hadn’t heard this story before. Elaine, thanks for sharing your story! I sent your comment to Mom to make sure she sees it too. Lynn, thank you for reading and commenting. That means a lot to me! Gail, what an encourager you are to me. Someday we will meet in person, but until then thank you for your warm kindness to me across the miles. eaven, we will one day meet on Heaven’s stairway!